We’re headed to the ONA! The people in the newsroom are the heart and soul of newsbeat, so we’re really excited to be heading to Boston for the ONA conference this weekend. Tony Haile (our newly minted CEO!) and I are going to be attending sessions to learn more about what makes great news organizations tick, showing off some of the new things we’ve got in the works, and reaching out for your feedback on newsbeat (and chartbeat!). We’ve also proposed a session for the ONA unconference about the move to a real-time newsroom – what works, what doesn’t, and how newsrooms are adapting to a real-time news cycle. You can check out the details here and then vote for the session if you’d like to join us! Tony and I will be at the conference tomorrow and Saturday, so feel free to grab us if you’d like to chat. 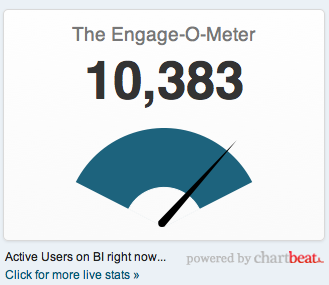 Or send me an email at dawn@chartbeat.com if you’d rather schedule time to talk. We’d love to hear your thoughts and ideas! One of the most exciting things about having chartbeat running on your site is that moment when your traffic goes nuts and you can watch it unfold on your dashboard. Busting through your 30-day traffic high is a great feeling. 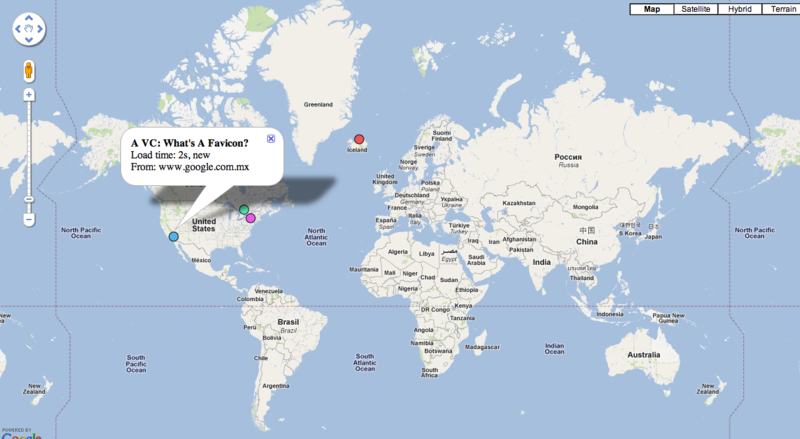 Even we at chartbeat aren’t immune to it. As people across the east coast, and then across the rest of the country, went online to find out what happened, traffic to chartbeat sites went through the roof. In less than 10 minutes, we zoomed past our previous all-time high. As we cheered, did the requisite high fives (we really like high fives around here), and tweeted links to our new record-breaking dial, it made me think of other people who have shared similar chartbeat triumphs. From new 30-day traffic highs, to watching a product launch take off, it’s exciting to see pictures of companies gathered around their dashboards or screenshots of dials, dashboards, and big boards being shared with the world via Twitter, tumblr, and flickr. 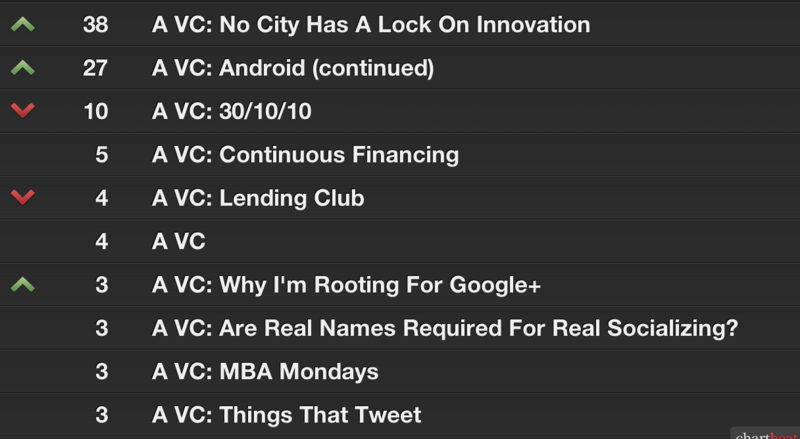 To continue in this spirit of celebration, we’ve started a gallery to capture these publicly shared chartbeat moments. Head over to http://gallery.chartbeat.com to check out how people are displaying chartbeat in their offices and sharing their chartbeat triumphs with the world. And if you have your chartbeat data displayed in your office or want to share a photo of one of your exciting chartbeat moments, we’d love to add it to the gallery! 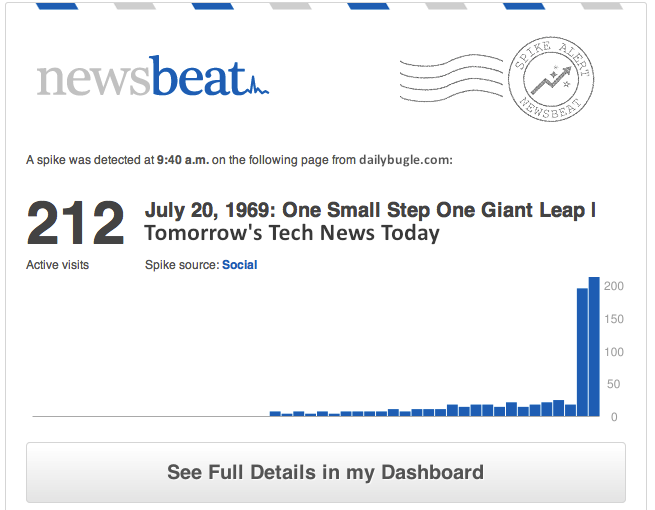 Just send me an email at dawn@chartbeat.com or post it on Twitter. This past Sunday morning, we made a change to the way we measure new vs. returning visitors to your site. We think it’s important to measure humans rather than clicks, which often means a departure from traditional analytics. Up until Sunday, we considered a new visitor anyone who was on the first page of their first visit to your site in the past 30 days. This was useful for identifying which pages were most effectively driving new traffic but caused issues when trying to understand the broader behavior of new visitors. We wanted to take this type of behavior into account, so for people who are coming to your site for the first time in the past 30 days, we’re now counting them as “new” for the first 30 minutes they spend on your site, regardless of how many pages they have visited. After this time, they will be considered a “returning” visit, which will also be true if they visit your site again within 30 days. If they haven’t revisited your site in 30 days, the clock resets and they’re treated as a new visitor again. As always, we really want to hear what you think. 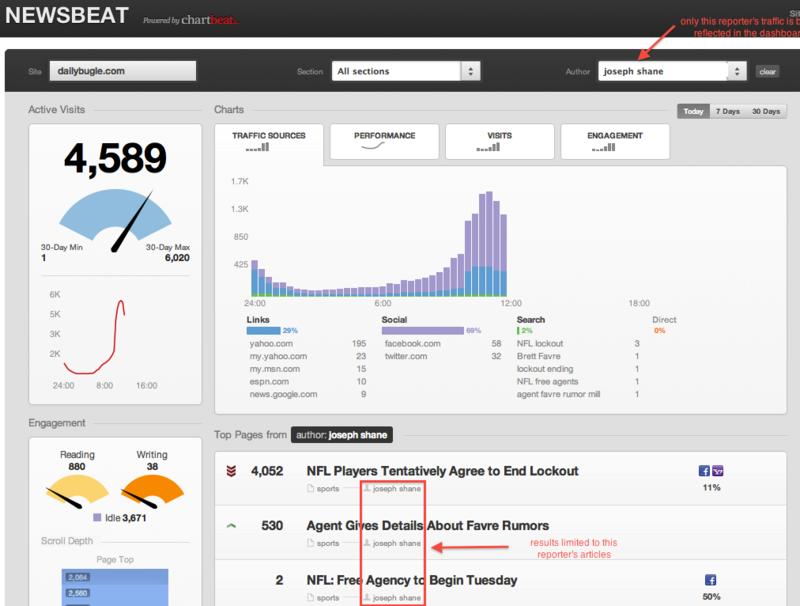 Send us your feedback, thoughts, and examples of how you use new vs. returning metrics, on our site or elsewhere. We’ve had a few of our European clients ask about the new EU cookie directive and how this affects their site’s use of chartbeat or newsbeat. The EU law, which requires that all users are asked for consent before using any non-essential cookies, will have an impact on the cookies served by chartbeat. Currently, chartbeat uses two cookies. One cookie (_chartbeat2) is used to register if a person has visited the domain before (to calculate “new vs returning” users). The other (_SUPERFLY_nosample) is used only if you go over your plan’s traffic limit. At that point the cookie is set and will disable the beacon from that visitor for one hour. The _chartbeat2 cookie is valid for 30 days. The _SUPERFLY_nosample cookie is valid for one hour. 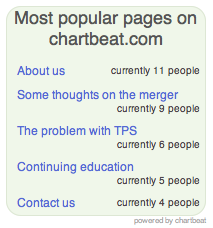 For more information about the chartbeat code, please see our docs page. 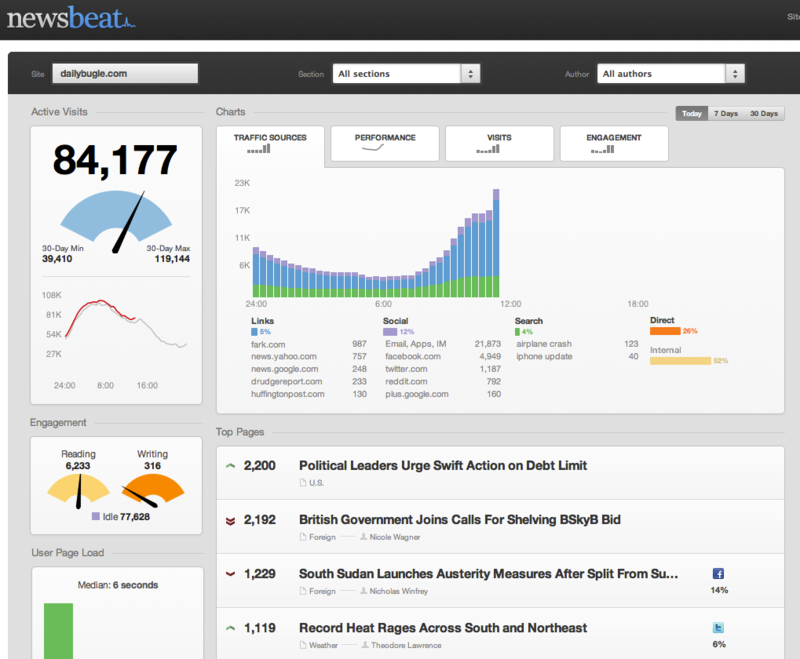 We’re in the process of building support for a cookie-less mode of chartbeat and newsbeat. Once available, the “new vs. returning user” data point in the chartbeat or newsbeat dashboard will not be accurately reported if you choose to allow users to opt-in to chartbeat cookies. We’ll send out an update when a cookie-less mode is available. In the meantime, please contact us at support@chartbeat.com with any questions.